Cades Cove is certainly a special place. The combination of mountains, history and widlife just come together into something almost magical. This early morning composition was taken peering down Sparks Lane. 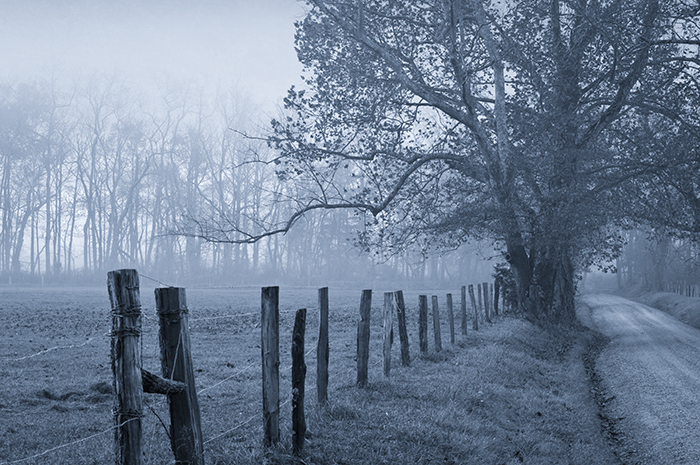 The tranquil calm and the fog blend well with the sense of hertiage preserved there today.